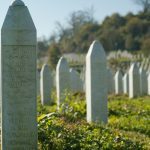 ‘Silent Emotions’ tells the stories of genocide survivor Nedžad Avdić and Srebrenica mother Hatidža Mehmedović. Nedžad was just 17 when the Bosnian Serb murder squads came to Srebrenica in July 1995. They shot him and left the teenager to die. Somehow, he managed to survive and tell his story.